A cast of diverse international performers will star in the landmark musical event which begins performances in Manila at The Theatre at Solaire on 18 March 2018 and will then transfer to Marina Bay Sands in Singapore, starting performances on 27 June 2018. Michael Cassel Group in association with Disney Theatrical Productions are thrilled to reveal the full company of the international tour of the world’s #1 musical, Disney’s The Lion King. The landmark musical event begins performances in Manila at The Theatre at Solaire on 18 March 2018 and will then transfer to Marina Bay Sands in Singapore, starting performances on 27 June 2018. The Manila premiere is presented by Concertus Manila. The cast of The Lion King features alumni who have performed in previous productions around the world including the London, Las Vegas, Shanghai, Basel, Hamburg, Taiwan, Singapore, Mexico, Brazil and Johannesburg engagements and the UK and Australian tours, along with a host of emerging talent from South Africa that will make this one of the most sensational casts to appear in acclaimed director Julie Taymor’s groundbreaking musical. Announced today, the principal cast includes Ntsepa Pitjeng who is returning to the role of ‘Rafiki’, having performed the role in the USA, UK, Brazil, and Switzerland productions. Direct from London’s West End production is Mthokozisi Emkay Khanyile in the role of ‘Mufasa’. Also from the United Kingdom is music theatre performer Antony Lawrence as ‘Scar’. Australian actor Andre Jewson will feature as ‘Zazu’; the charismatic New Zealand born performer Jamie McGregor will play ‘Timon’ and South African favorite Pierre van Heerden will return as ‘Pumbaa’. Joining the company are six actors from the Philippines. Sharing the role of Young Simba will be Julien Joshua Dolor, Pablo Palacpac and Juan Gabriel Tiongson; sharing the role of Young Nala will be Sheena Bentoy, Uma Martin and Felicity Napuli. Rounding out the principal cast are South African performers Calvyn Grandling, playing the much- loved role of ‘Simba’, the up-and-coming star Noxolo Dlamini as ‘Nala’, Candida Mosoma who returns to the role of ‘Shenzi’, Bjorn Blignaut as ‘Banzai’ and Mark Tatham as ‘Ed’. Joining The Lion King ensemble is: Chachano Baez, Dayan Kingsley Beukes, Tertia Coetzee- Dippenaar, Viridiana Cortés, Felipe Flores, Trudy Fredericks, Jabulani Gambu, Liso Gcwabe, Sheila Maria Hernandez, Phumelele Jili, Christine Kapswarah, Amanda Kunene, Sfiso Matlala, Lungile Mkhize, Fumane Moeketsi, Noluyanda Mqulwana, Zodwa Mrasi, Lwazi Mzimase, Zolina Ngejane, Thato Nkwe, Thabani Ntuli, Peace Nzirawa, Nonofo Olekeng, Khanyisani Shoba, Phumelele Sikhakhane, Romy Jo Swales, Clifford Tlomatsana, Vuyelwa Tshona, Tlholo Tsotetsi, Benn Welford, Zi-Rong Wu, Daniel Guerrero Zazueta, Monde Zondi, and Sandile Zondi. 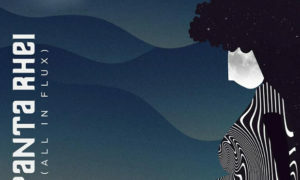 “Julie Taymor and her extraordinary creative team have brought together a truly diverse company, representing twelve countries in this production of enormous scale, beauty and heart. I cannot wait for new audiences in the Philippines, Singapore, South Korea and Taiwan to share an indelible theatrical experience for the first time, with this talented cast,” said Thomas Schumacher, president and producer, Disney Theatrical Productions. “After six months of intensive auditions, we have been able to bring together a truly international group of performers that will showcase the talent from almost every corner of the world. 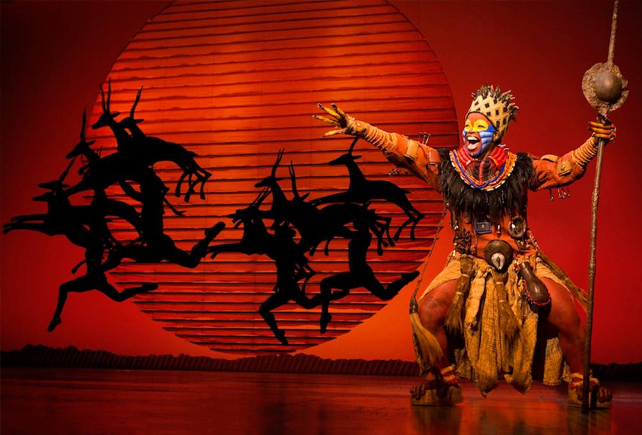 From seasoned professionals to actors making their professional debut, this company of The Lion King will be sure to delight and amaze audiences as we tour this phenomenal production around the globe,” said producer of the international tour, Michael Cassel. Tickets for the Manila season go on sale on 3 November and Singapore tickets will go on sale on 13 November. Beyond Manila and Singapore, the international tour will enjoy additional seasons in Korea, Taiwan and South Africa, with other engagements to be announced. For further information about The Lion King, visit LionKingInternational.com.